This graphic novel tells the legend of Yu the Great, a Chinese hero from the twenty-first century B.C. Some scholars believe Yu actually existed and that he founded the Xia Dynasty, the first Chinese empire described in historical records. Some later Chinese texts describe Yu as a kind and strong emperor whose engineering projects saved China from frequent floods. But in Chinese legend, as in this book, Yu is descended from the gods and born from a golden dragon. He saves China from floods by using magical soil to plug underwater springs, with the help of a tortoise, an owl, and a dragon. My grandparents' grandparents walked beside the same stream where I walk with my brother, and we can see what they saw. Winnie Perry went through a lot when she was eleven, from shifting friendships to her teenage sister's mood swings. But now that Winnie is twelve—and one step closer to being a teenager herself—there is so much more to deal with. Will her new friendship with Dinah last? 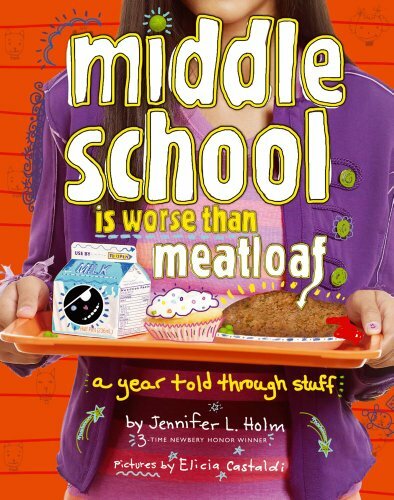 Can she handle the pressures of junior high? And, most important, will Winnie survive bra shopping (in public!) with Mom? 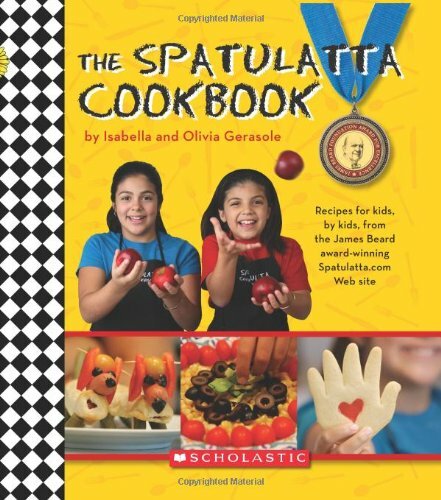 A cookbook for kids based on the Spatulatta Cooking 4 Kids Online website featuring the Gerasole sisters, Isabella (age 10) and Olivia (age 8). This fabulous cookbook for kids features Isabella and Olivia Gerasole, the adorable and charming hosts on www.spatulatta.com. A cooking for kids website that recently won a 2006 James Beard Award, which is the equivalent of an Oscar in the culinary world. Their kid-friendly recipes range from basic "Mom's the Star Toast" to a peek into various ethnic cuisines like "Yumbo Gumbo." The cookbook is arranged by season and also includes special sections devoted to snacks and vegetarian recipes along with easy-to-follow basic cooking skills and weights and measures. Human beings live for quite a long time and for a lot of that time we are not happy. We want to be taller, shorter, fatter, thinner, older and younger. We want our straight hair to be curly, our curly hair to be straight and our brown eyes to be blue. We hate our parents, children, teachers, students and everybody. We want to be somewhere else with someone else, eating something else and wearing something fantastic no one else can afford, and we want to splash them as we drive by in our big red car. This laugh-out-loud picture book will appeal to people - and rats - of all ages. 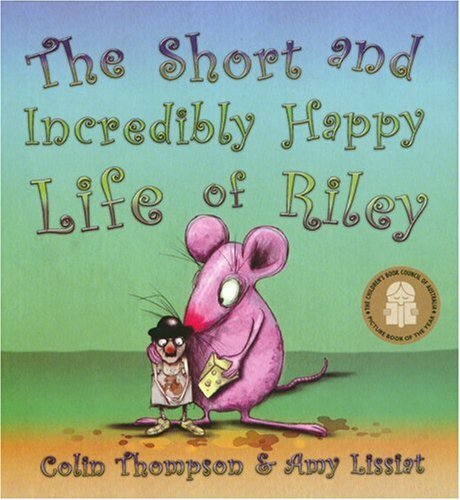 A truly unique picture book by Thompson and Lissiat presents life lessons with gentle humor and satire. "Col felt a stab of fear in his stomach. The Sirens were now close enough for him to see their crimson mouths open in a scream, pale faces blazing with white-hot anger, their bird claws tearing at the air." 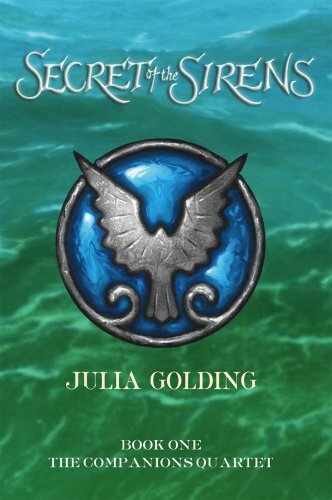 When eleven-year-old Connie is sent to live with her eccentric aunt by the sea, she's not expecting anything great—not to make friends with Col, the coolest guy in town, and certainly not to discover that mythical creatures still exist, that an ancient society has protected them for centuries, and that a dark and treacherous force is lurking in their midst. Most of all, she doesn't expect to learn that she has the rarest of talents, greater even than her secret ability to communicate with animals. With Col's help, she could achieve unimaginable power—and face the terrifying choices that come with it. 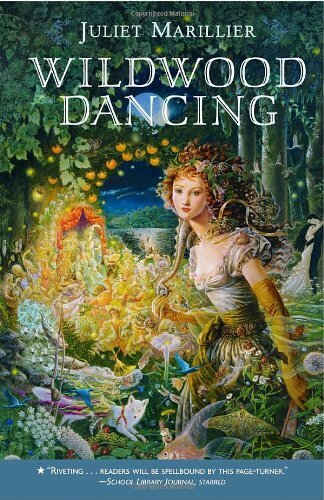 In the tradition of Eragon, A Wrinkle in Time, and The Golden Compass, the first book in the Companions Quartet is a boldly original adventure that will ignite the imaginations and emotions of fantasy readers everywhere. The book is called The Compleat Necromancer, and when Ming, Orion, and Courtney read an incantation from its pages, they have no way of knowing they are about to conjure up the ghosts of an entire nation. Because the ghosts that the three friends summon aren't just any ghosts. 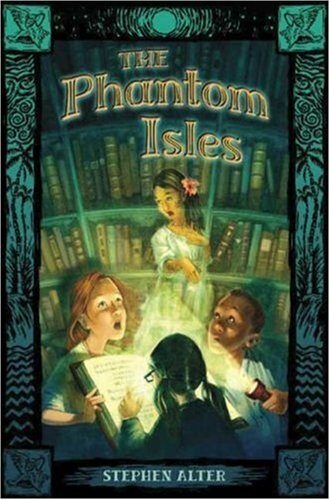 They were captured from an island in the middle of the Indian Ocean--the Ilhas dos Fantasmas--a place where the living and the dead once coexisted peacefully. 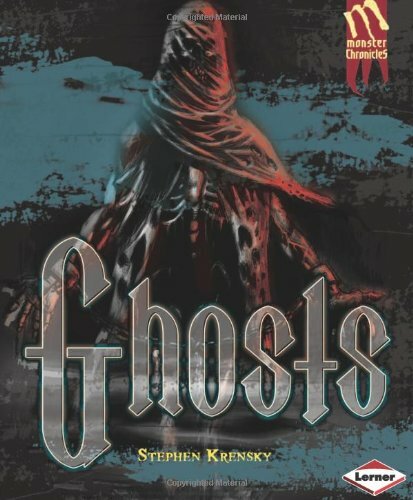 Now confined to the pages of a few dozen library books in a New England town that's thousands of miles from their home, the ghosts must rely on the children and a determined librarian to free them before they are lost forever. Ginny has ten items on her big to-do list for seventh grade. None of them, however, include accidentally turning her hair pink. Or getting sent to detention for throwing frogs in class. Or losing the lead role in the ballet recital to her ex-best friend. Or the thousand other things that can go wrong between September and June. But it looks like it's shaping up to be that kind of a year! 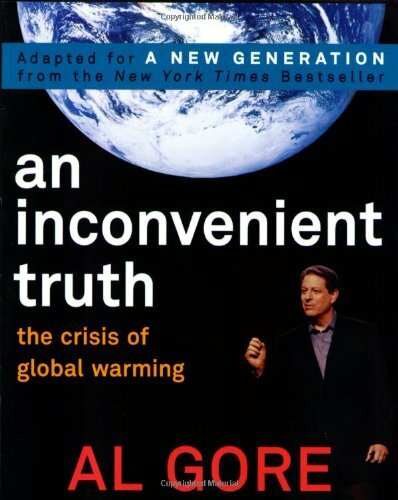 Former Vice President Al Gore's New York Times #1 bestselling book is a daring call to action, exposing the shocking reality of how humankind has aided in the destruction of our planet and the future we face if we do not take action to stop global warming. Now, Viking has adapted this book for the most important audience of all: today's youth, who have no choice but to confront this climate crisis head-on. Read about the cars, the races, and the exciting personalities of NASCAR! 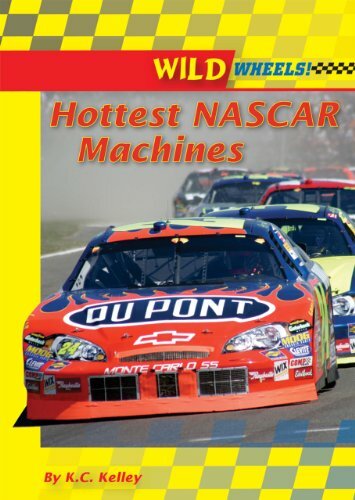 This book explores the world of stock car racing and gives fans insight into all that goes into a big race. 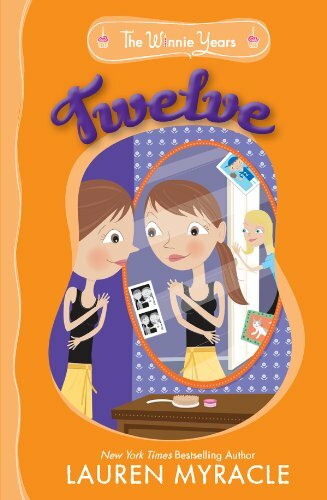 At 12 1/2, Alexandra has more questions than she has answers: "Free to be me...or does being me have a price? And if so, how much should I charge?" and "Will my dad and I ever be able to communicate? Am I talking in a voice only elves can hear?" Luckily, with some help from her cabaret-lounge-singer mother (really, she sings on top of pianos) and an all-too-honest Very Best Friend, this plucky heroine is perfectly poised for teendom. An entertaining, right-on-target read for every preteen girl interested in friends, family, crushes, and cliques. Narrative voice is inspiring and informative about such topics as Double-Mom Theory and the mating habits of Tungara frogs. 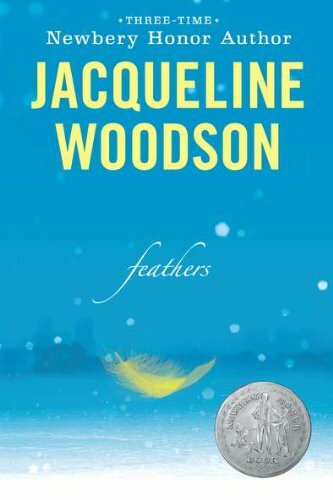 “Hope is the thing with feathers” starts the poem Frannie is reading in school. Frannie hasn't thought much about hope. There are so many other things to think about. Each day, her friend Samantha seems a bit more “holy.” There is a new boy in class everyone is calling the Jesus Boy. And although the new boy looks like a white kid, he says he's not white. Who is he? Bursting with eerie photos and Special Investigations, a nonfiction compendium of all things ghoulish and ghastly--from Aliens to Zombies! 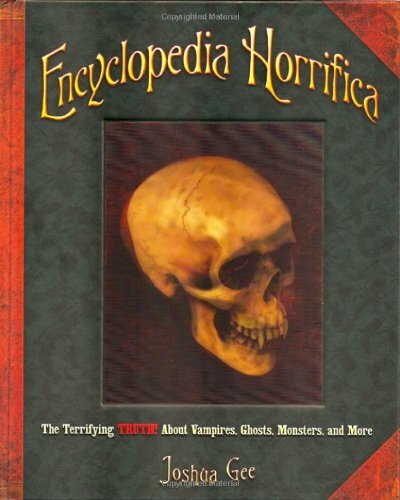 Vampires, ghosts, monsters, and more--ENCYCLOPEDIA HORRIFICA invites you to join our quest for the terrifying truth about all things ghoulish and ghastly. But beware! Surprises lurk at the turn of every page. . . . Discover a time line of ALIEN LIFE on earth--beginning 4 billion years ago! Meet a man recruited by the U.S. government to become a PSYCHIC SUPERSPY. Spend a dark and stormy night with professional GHOSTBUSTERS. Visit a mysterious library in search of DRACULA's shocking origins. Witness new photos of the actual sea monster that inspired the mythical KRAKEN. And much more! Year after year, Eli watches the solemn lighting of seven candles at his family's celebration of Rosh Hashanah, the Jewish New Year. But these happy occasions are always tinged with sadness, and Eli doesn't understand why. Then one year he travels to Eastern Europe and finally hears the stories that for generations have been too painful to share. 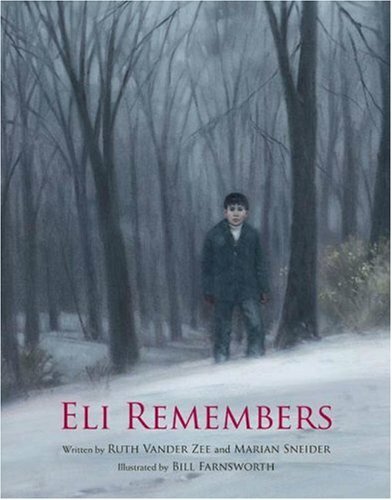 As Eli learns how the candles represent his family's sad connection to the Holocaust in Lithuania, he also learns a lesson about the importance of remembering. 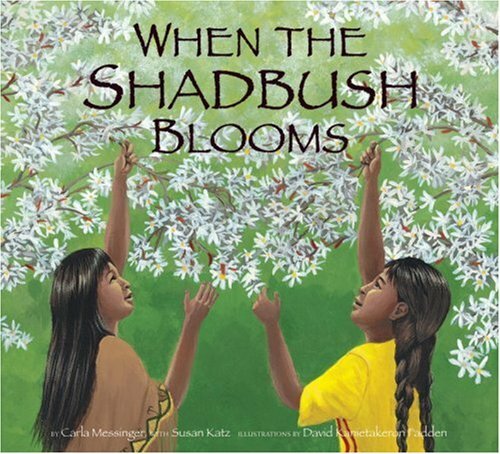 Subtle, yet powerful illustrations underscore the message of this picture book for older readers. From the producer of AN INCONVENIENT TRUTH comes a powerful, kid-friendly, and engaging book that will get kids get interested in the environment! 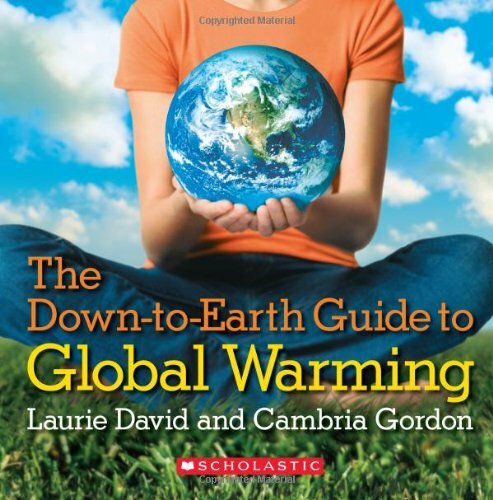 Irreverent and entertaining, DOWN TO EARTH is filled with fact about global warming and its disastrous consequences, loads of photos and illustrations, as well as suggestions for how kids can help combat global warming in their homes, schools, and communities. Engagingly designed, DOWN TO EARTH will educate and empower, leaving readers with the knowledge they need to understand this problem and a sense of hope to inspire them into action. Inspired by such literary greats as Paul Laurence Dunbar and Langston Hughes, poet John D. Evans captures the struggle and survival of African American poetry in his fifth book. 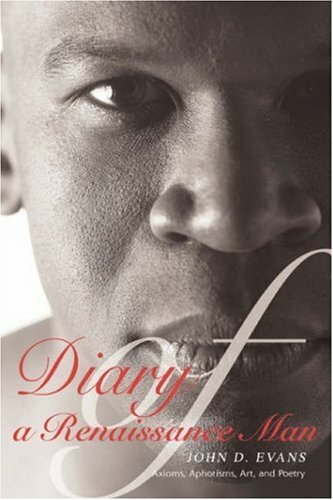 With titles like The Song of Mockingbirds, Definition of Life, and That Night at the Martinique, the diary reveals messages of life and hope. 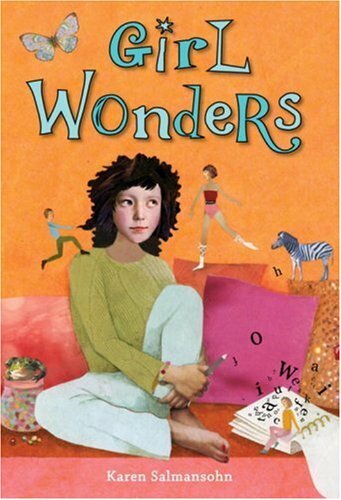 This ponder-worthy journey will enlighten readers of all ages. Demons are all around us—most of them are relatively harmless, like the ones that go bump in the night or make you stub your toe. But some are dangerous—some can kill. Since he was orphaned as a boy, Nat has been trained by his aged mentor Daliwahl to be a demonkeeper, controlling a menagerie of demons in their old, rickety house in Seattle. But now Dahliwahl is gone and Nat is on his own. Keeping demons isn't a very social activity, and when Nat goes on a date with Sandy, a junior librarian's assistant, it's a disaster in more ways that one—while Nat's out, a very scary demon called the Beast escapes. Can Nat get the Beast back to the house and make things right with Sandy—and do it all by himself? 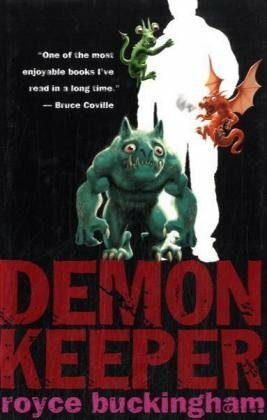 With its fast-paced action, slapstick humor, and a winning, unlikely hero, Demonkeeper is a high-spirited romp that will keep readers glued to the page. 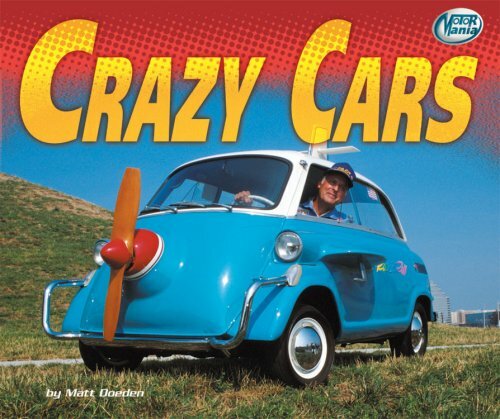 Examines wild and unusual cars, including ones that can fly, float, or drive on three wheels. Don't look now, but Lauren Child has outdone herself with a Clarice Bean novel that is the funniest and most poignant yet. It's the worry you hadn't even thought to worry about that should worry you the most. At least that's how it looks to Clarice Bean, who has been writing her worries in a notebook — things like Worry no. 1: infinity, or Worry no. 3: change. And now that her worst never-imagined worry has happened — her utterly best friend is moving away forever — Clarice doesn't even care about her tickets to the Ruby Redfort, girl detective, movie premiere. 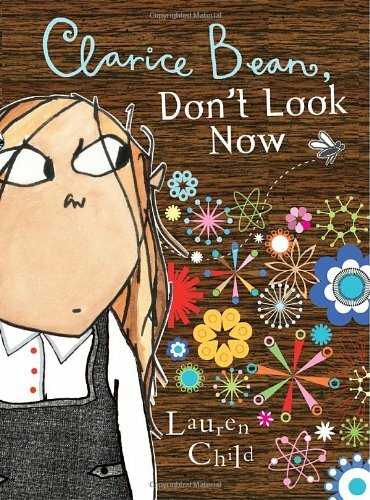 That is, unless something happens to change things again. . . . Lauren Child's trademark wit combines with spot-on insight in this hugely engaging story about childhood worries, unwanted changes, and finding friendships in the most surprising places. "Buddy stood in the fading sunlight, his muscles twitching and tense. The Gathering! The new Cat Master would be anointed tonight. His mind raced. Jett would do anything to stop Buddy's coronation, and if his plan succeeded, Zekki, Pris, and Shan Dara would be in great danger. 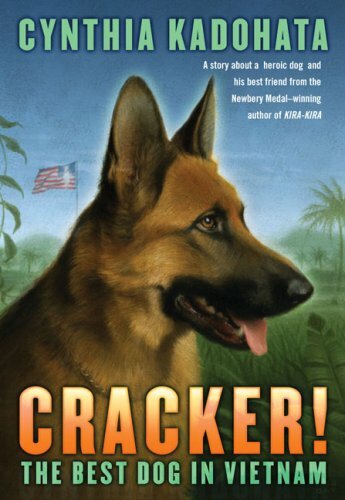 The old Master's words echoed in Buddy's brain, and a resolute sense of duty filled his heart. He would honor his father's wishes . . . even if it cost him his life." 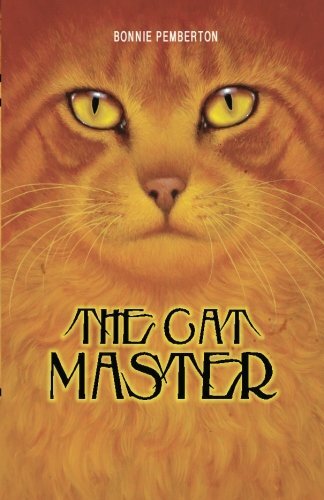 Tension is growing between the Ferals and Indoors, and the old Cat Master, spiritual leader of all felines, is dying. Time is running out, and he must choose a successor that will rule wisely and keep peace among their kind. Of all his descendents there are only two brothers that are qualified: Jett, the powerful, ambitious Feral who has survived the perils of the alley and quiet, complacent Buddy, who was rescued by a human and now lives the pampered life of an Indoor. With his last breath, the old cat decides. He alerts Buddy through mind-talk. "Rise from the alley, my son," he commands. "Of all my blood, you are The Chosen." But his message is intercepted telepathically, and Darkness suddenly reigns in the cat world. Driven by jealousy and desperation, brother is pitted against brother in the fight to rule their species . . . a struggle that will confront Buddy's deepest fears and threaten the lives of those he loves most. 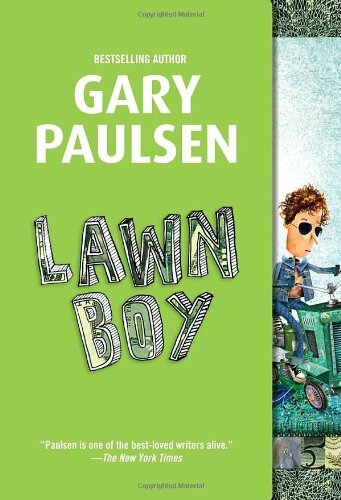 Against a backdrop of dangerous alleyways and a scorching Texas summer, Buddy discovers the power of friendship, the lure of evil, and the knowledge that no peace can come without sacrifice. 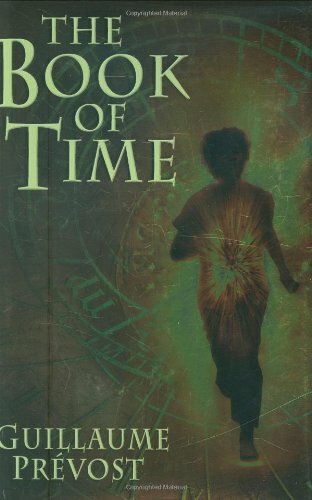 Scholastic introduces the next name in YA adventure: Guillaume Prevost, whose Book of Time trilogy is one part DA VINCI CODE, one part DRACULA, one part THE TIME-TRAVELER'S WIFE, and all thrilling. A statue; a coin; an old book. They look as dusty as everything else in the Faulkner Antiquarian Bookstore, where 14-year-old Sam Faulkner seeks his father, who's been missing for days. But when Sam slips the coin into the statue, he's swept back in time -- to Scotland in 800 A.D. -- where he must find both the statue and another coin in order to return to the present. 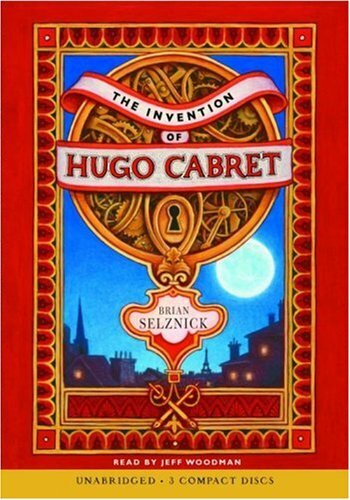 It's the first step in an adventure that will take him to ancient Egypt, World War I, even Dracula's castle -- and a mystery that will end only when Sam saves his father, or loses him in time . 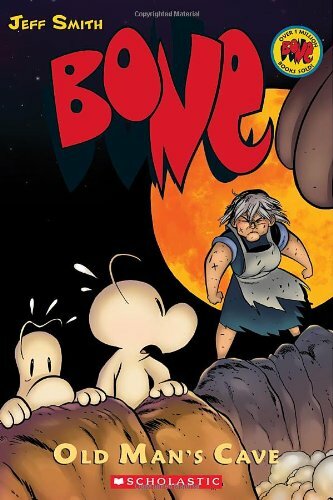 . .
A showdown with the rat creatures and a secret ceremony by moonlight; revelations and battles: The Bone cousins are in the thick of it again! Trying to return a rat creature cub to the mountains, Fone & Smiley Bone encounter yet another adversary: the sly and mighty mountain lion, Rock Jaw. 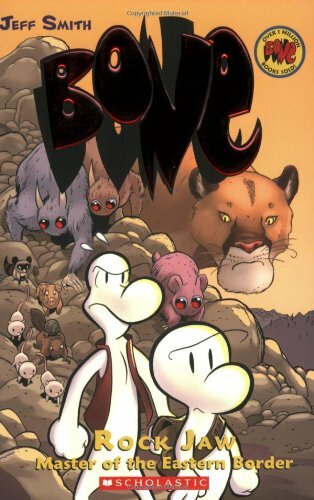 In this fifth volume of the BONE saga, Fone and Smiley Bone strike out into the wilderness to return a lost rat creature cub to the mountains. It doesn't take long before they run smack into Rock Jaw, "Master of the Eastern Border," an enormous mountain lion with a none-too-friendly disposition. Life gets even more complicated when they befriend a group of baby animals who are being orphaned by rat creature attacks. Everything comes to a head in an earth-shattering clash between Rock Jaw and Kingdok, the leader of the rat creatures. 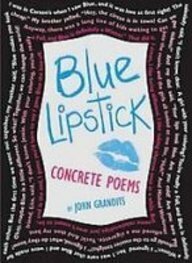 A 15-year-old girl named Jessie voices typicaland not so typicalteenage concerns in this unique, hilarious collection of poems. Her musings about trying out new makeup and hairstyles, playing volleyball and cello, and dealing with her annoying younger brother are never boring or predictable. Who else do you know who designs her own clothes and writes poetry to her cat? Jessie's a girl with strong opinions, and she isn't shy about sharing them. Her funny, sarcastic take on high school life is revealed through concrete poetry: words, ideas, type, and design that combine to make pictures and patterns. The poems are inventive, irreverent, irresistible, and full of surprisesjust like Jessieand the playful layout and ingenious graphics extend the wry humor. 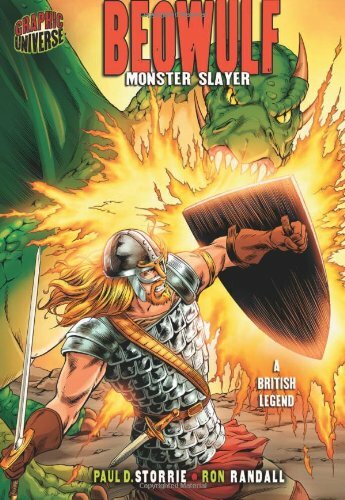 In graphic novel format, retells the story of the warrior Beowulf who fought the monster Grendel and his mother, but who succumbed as an old man to a dragon's poison.